50% of human DNA is the same as a banana’s. 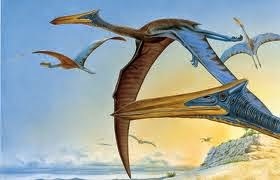 Quetzalcoatlus - It had a wingspan of 52 ft and was as tall as a giraffe. A disease called “Exercise-Induced Anaphylaxis” literally causes people to be “allergic” to exercise. The US's top 1% richest people have $23 trillion in assets, enough to feed and shelter every single human being on earth for 500 years. According to research conducted at Newcastle University, a bacon sandwich can cure a hangover. There are 923 words in the English language that break the “I before E” rule. Only 44 words actually follow that rule. Our brains perceive people who generally annoy us as moving slower than they really are. 99% of women and 95% of men talk to their pets – 93% of women and 87% of men think their pets communicate back. The IRS is immediately notified whenever you, or anyone else, withdraws $10,000 or more from the bank. An Internet addict is someone who spends more than 6 hours a day online, not doing anything important, for 3 or more months at a time. Playing video games can sharpen a person’s decision making abilities by 25% as well as improve focus and boost creativity. If there was a mirror on the moon and you had a telescope to see your own reflection, there would be a 2.6 second delay in what you saw. John F. Kennedy did not accept his presidential salary of $150,000 a year. Instead, he donated it to charity. While a YouTube video is loading, you can start a game of Snake by pressing the UP arrow on your keyboard.